I recently attend the 2018 International Center for Academic Integrity conference in Richmond, Virginia, where I moderated a panel on contract cheating. Panelists included Tricia Bertram Gallant (UCSD), Christopher Lang (University of Toronto) and Mark Ricksen (Turnitin). How do you know if your students are buying their work from the Internet? How prevalent is this practice, anyway? How do you talk to your students about the issue of contract cheating? Get answers to these questions and more in this interactive workshop. Find out the latest research and get practical resources to help you with your own students. Gain insights into how contract cheating really works (and how easy it is for students to buy papers or even a complete thesis online). Learn what the latest research says. Learn practical tips on how to detect contract cheating and how to talk to students about it. This workshop is free of charge and open to everyone. I’m excited to share a new resource that’s been almost a year in the making. I’ve been working with some amazing colleagues: Santoi Wagner (University of Pennsylvania), Jennifer Hirashiki (Westcliff University) and Julie Ciancio (Westcliff University) on “Understanding and Exploring Signature Pedagogies for TESOL Teacher Education”. 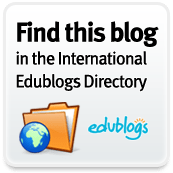 This is a freely available, Open Educational Resource (OER) intended to help teacher trainers working in the field of Teaching English to Speakers of Other Languages (TESOL). Purpose: The purpose of this report is to elevate the collective understanding of what it means to be and become a TESOL professional and what differentiates “TESOLers” from other teachers. We have intentionally prepared this report as an Open Educational Resource (OER), so it can be freely shared with an international audience. Methods: This report synthesizes literature relating to signature pedagogies, teacher training, and educational technology. Results: We explore the surface, deep, and implicit structures of three signature pedagogies of TESOL teacher education: (a) developing the TESOL knowledge base; (b) cultivating reflective practice; (c) engaging in a TESOL practicum. We also situate TESOL within a technology, content, and pedagogical content (TPACK) framework as a means to further understand how and why TESOL teacher education can and should incorporate technology in a variety of ways. Implications: TESOL is a relatively young discipline and has come of age during a time when technology has emerged as an essential element of teaching and learning. As such, TESOL teacher education programs must address technology as a key element of teacher preparation for the profession. Additional materials: Contains 1 table, 1 figure and 81 references. Eaton, S. E., Wagner, S., Hirashiki, J., & Ciancio, J. (2018). Understanding and Exploring Signature Pedagogies for TESOL Teacher Education. Calgary: University of Calgary. I’m so pleased to announce the launch of a new journal: Canadian Perspectives on Academic Integrity. We officially launched the journal on March 3, 2018 at the annual conference of the International Center for Academic Integrity, held in Richmond, Virginia. The objectives of this online, open source journal is to provide Canadian practitioners working in the area of academic integrity with a venue to share experiences and insights about their work. This journal is focused on the Canadian context. Submissions are accepted from those with an e-mail address from a Canadian educational institution. Independent scholars without a Canadian institutional address should contact the editor before submitting a manuscript. The inaugural issue features articles from some wonderful expert Canadian practitioners. The first, from Leeanne Morrow is, “Academic integrity outreach: Supporting high school students for success in higher education“. In this article, Morrow talks about the outreach she does with local secondary students to help them understand what academic integrity is and how knowing about it will benefit them once they are in university. In the second article, Loie Gervias, talks about “Launching an institutional academic integrity campaign“. She offers practical tips on what works, what doesn’t and also shares some of the marketing materials her team used in their own campaign. Brandy Usick and I also offer tips and advice in our “Writers’ guide for prospective contributors“. Our objective is to encourage those who work in the field of academic integrity as professional practitioners to share their knowledge, insights and wisdom. We are looking forward to adding more contributors and articles as the journal continues to evolve. The parent was adamant that their child had to “do well” on the science project. To that parent, “doing well” meant getting a good grade and receiving praise (and possibly a prize) from the judges. It wasn’t about if or how much their child learned during the process. When parents do their kids’ homework for them, students don’t learn. When parents fix all the mistakes so their child can hand in a perfect assignment, it doesn’t show the teacher how the student needs to improve. When parents re-write a student’s work to make it sound better, the end product does not reflect the student’s current writing ability. When parents re-work the slide deck or improve the design of a project, the end product shows what the parent can do, not the child. Parents are not helping their kids learn when they do all the background research for a project. Parents need to stop equating doing their children’s school work as an act of service that shows their children how much they love them. Doing a child’s school work does not send the message, “I love you!” Instead, it enables the child to avoid learning things for themselves. When parents to school work on behalf of their children, it is a form of cheating. In fact, it is part of special kind of academic dishonesty called “contract cheating”. This is when a student has someone else do their work on their behalf. Contract cheating can happen when students buy their school work off the internet for money, or when they agree to have anyone else do their work for them, even if no money is exchanged. There is still an implicit contract in place: Someone else is doing the work on behalf of the student. Parents can be active partners in their child’s success when they focus on learning as a process, not as an end product. That is why it is important for parents to help children learn skills like writing, designing and researching and to improve their skills over time. Learning isn’t about being perfect; it is a lifelong process that keeps going long after students leave school. I am not saying this is easy. The temptation to “help” a child succeed can be strong. It is important for parents to understand that helping does not mean doing the student’s work for them. You are currently browsing the Learning, Teaching and Leadership blog archives for March, 2018.